Landon Carter’s Uneasy Kingdom, by Rhys Isaac (Oxford). Landon Carter and his fellow eighteenth-century Tidewater grandee William Byrd both famously left exhaustive and strikingly candid diaries that historians have long exploited. But these documents hardly speak for themselves, because their writers inhabited a mental world profoundly alien to our own. Rhys Isaac probes and interprets Carter’s journals to reveal the attitudes and values of the Virginia gentry and the collapse of the established social order that attended the Colonies’ rebellion against Britain. Isaac—who in his first book, The Transformation of Virginia, 1740-1790, inventively adopted anthropological methods and approaches to examine the social, cultural, and political impact of evangelical Christianity on the colony—is a sensitive guide to Carter’s world, and reading his systematic exploration is the only way for the layman to comprehend the diaries properly. 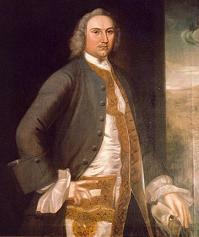 He convincingly portrays Carter, one of Virginia’s twelve richest men, as a figure ensnared by contradictions: In his energetic defense of American liberty, Carter appreciated that he was helping to destroy a hierarchical world to which he was intensely attached and which gave him enormous power and prestige. And just as he challenged the King’s rule, so he found his slaves and his children defying his patriarchal authority and tearing the ties of dependence and obligation that bound them to him. In his diaries he’s often furious and blustering—and invariably lacking in self-awareness—as he tries to reconcile one self-image as a stern patriarch and master with another as a caring, sentimental father and protector of the weak and dependent (the book reveals slavery to be a paradoxical institution—a paternalistic system built on the ever present threat of unlimited violence). Alas, though, the vagueness, pomposity, and self-consciously literary style that marred The Transformation of Virginiaoften render this book puzzling and highly annoying (“To be the historian who will present Landon Carter as a storyteller witness to the revolutions of his times is to be the scriptwriter and theater director of a major historical stage show. I shall introduce myself also … I came into the world as one of identical twins, the first-born to kind and wise parents who never had much property but lived off their stock of learning as professional scientists”)—and not infrequently threaten to make it unreadable. Jack Greene’s lengthy introduction to the two-volume diaries, which astutely assesses the political culture of the Virginia gentry during the revolutionary period, and was published separately asLandon Carter (1967), is a far more stylish biography; but Isaac’s study, in spite of its intrusive qualities, is deeper and richer. 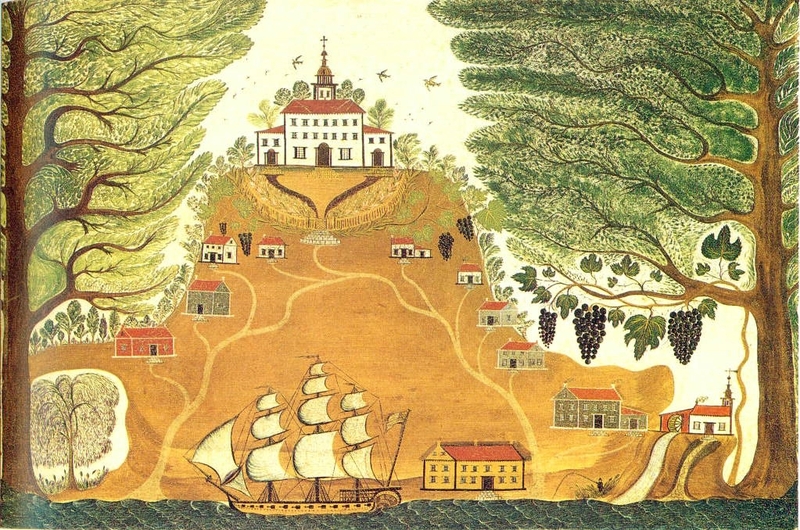 To illuminate the tangled relationship between slaves and slaveholders in late Colonial and revolutionary Virginia, read also Philip D. Morgan’s Slave Counterpoint, Sylvia R. Frey’s Water From the Rock: Black Resistance in a Revolutionary Age, and Mechal Sobel’s masterpiece of historical anthropology, The World They Made Together: Black and White Values in Eighteenth-Century Virginia. Hatchet Jobs, by Dale Peck (New Press). In these essays Peck rightly eviscerates contemporary “bombastic and befuddled” literary novelists who have defined and adhere to “a tradition that has grown increasingly esoteric and exclusionary, falsely intellectual and alienating to the mass of readers.” He excoriates the McSweeney’s crowd and “the ridiculous dithering of John Barth … [and] the reductive cardboard constructions of Donald Barthelme,” and would excise from the modern canon “nearly all of Gaddis, Pynchon, DeLillo,” and—while he’s at it—”the diarrheic flow of words that is Ulysses … the incomprehensible ramblings of late Faulkner and the sterile inventions of late Nabokov.” He correctly maintains that in writing “for one another rather than some more or less common reader,” these writers have created a situation in which “the members of the educated bourgeoisie … are sick and tired of feeling like they’ve somehow failed the modern novel.” In his meticulous attention to diction, his savage wit, his exact and rollicking prose, his fierce devotion to stylistic and intellectual precision, and—of course—his disdain for pseudo-intellectual flatulence, Peck is Mencken’s heir (although he’s got to curb his lazy use of expletives). He writes that this collection marks the end of his hatchet jobs. For the sake of the republic of letters, he’d better change his mind. The North American Prairie, by Stephen R. Jones and Ruth Carol Cushman (Peterson Field Guides/Houghton Mifflin). This book, replete with evocative photographs and informative maps, is a detailed and exceptionally well written guide to the wildlife, topography, and natural and human history of the Great Plains—an area that was once a sea of grass stretching from Ohio to Montana and from Texas to Alberta. The authors have been highly selective; they’ve chosen only forty-eight preserves in fifteen states and three Canadian provinces, which they consider the best examples of native prairie accessible to the public. “Accessible” is a relative term; many of the places are especially remote in this, the loneliest region of the country. Bring the book along on a car trip out west this summer; get off the freeways and drive, say, Highway 3 across the Oklahoma Panhandle to see the light change abruptly from the soft, hazy glow of the East to the brilliance of the West; or Highway 20, past the Oglala National Grassland (site of the Northern Cheyennes’ last battle) and through the Sandhills of western Nebraska as they undulate toward the Rockies; or Highway 12 through isolated Lemmon, South Dakota, to buck the unceasing wind in the Cedar River National Grasslands. Also pack the University of Nebraska Press’s The Definitive Journals of Lewis & Clark; Francis Parkman’s Oregon Trail; Mari Sandoz’s Crazy Horse; Kathleen Norris’s Dakota, her sublime meditation on Lemmon and the northern plains; and The Crow Indians, by Robert H. Lowie (Nebraska). This reissue of a classic ethnographical study is based on the fieldwork and interviews with Crow elders Lowie conducted from 1907 to 1931. A twentieth-century anthropologist summoning a vanished nineteenth-century world of war parties and buffalo hunts, Lowie illuminated religious beliefs, relations between the sexes, and attitudes toward death and violence. And he proved a clear-eyed but generous observer; despite its occasional misinterpretations, this is perhaps the most well-rounded contemporary (or nearly so) account of traditional American Indian life on the Great Plains. It’s especially enlightening because so much of our understanding of Plains Indians derives from the experience of the Sioux; this study examines their sworn enemy. It’s a worthy addition to its publisher’s list, which contains the most important collection of books on western and American Indian history. War Under Heaven, by Gregory Evans Dowd (Johns Hopkins). 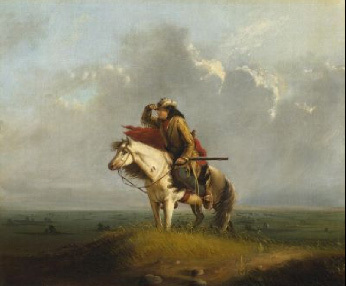 The Plains Indians dominate the popular imagination, but the most creative books on the history of Native Americans—from the epics of Francis Parkman (still the greatest literary artist among American historians) to the more recent works of Francis Jennings and Richard White—have focused on economic and cultural relations, diplomacy, and warfare among the eastern and midwestern Indian tribes and the British, French, and Americans. Dowd’s account of Pontiac’s War examines the nearly three-year intertribal uprising, begun in 1763, against the British—a conflict ranging over what is now Pennsylvania to Arkansas, Wisconsin to South Carolina. 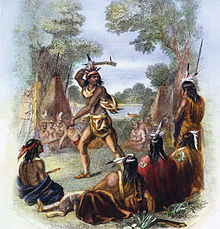 Shifting from councils at frontier outposts to deliberations at Whitehall, Dowd elucidates the contradictions in British policy toward Indian sovereignty that helped ignite the conflict (contradictions, he convincingly argues, that continued to define and confound relations between the United States and Native American tribes). His explication of both sides’ strategies and tactics in this ferocious struggle (the British used smallpox as a biological weapon against the Delaware; the Indians used terror against settlers to disrupt the British forces’ supply lines) is both sober and gripping. And, in perhaps his most original contribution, he skillfully uses the perforce meager evidence to analyze the religious dimension of the Indians’ resistance. A stylish writer with a talent for compression, Dowd engages and advances scholarly debates while making the lines of those debates clear to the general reader. His book (the paperback edition has just been released) is the best account of its subject. Dowd shows how cunning British diplomacy exploited divisions among the tribes to stem the uprising, but the contest for the lands from the Alleghenies to the Mississippi wasn’t really decided until the United States crushed Tecumseh’s pan-tribal uprising in 1813. Readers wanting to put Pontiac’s War in its widest context should pair this elegant book with White’s sweeping The Middle Ground: Indians, Empires, and Republics in the Great Lakes Region, 1650-1815. Yet again we’re bombarded with military history: this season three trade publishers have each issued a heralded title on the First World War. 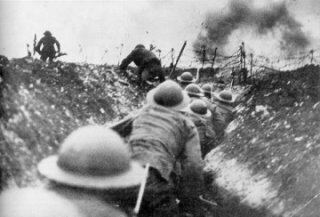 The one written by the best-known, best-selling author and published by the most prestigious house—Europe’s Last Summer: Who Started the Great War in 1914?, by David Fromkin (Knopf)—is easily the weakest. Still, although Fromkin conducted no archival research, he’s fairly well acquainted with the historiography of his subject (the diplomatic maneuvering and the military preparations directly preceding the conflict), and he therefore avoids the worst flaws that plague popular history. Furthermore, his case, though written in purplish prose, is largely correct. 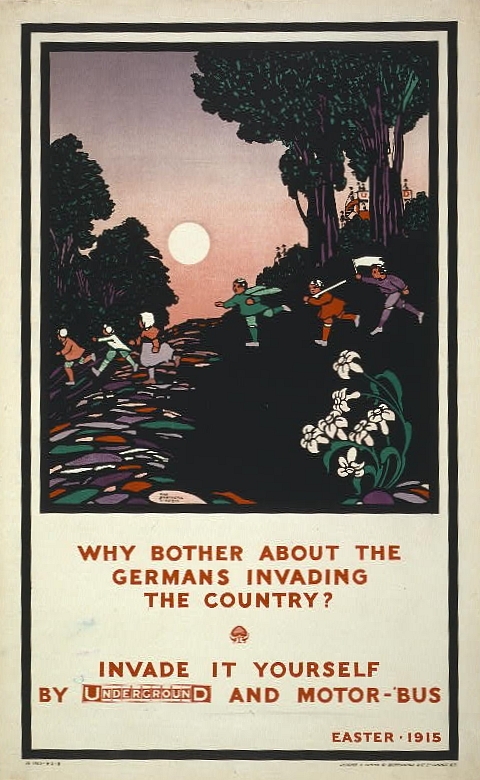 Fromkin asserts (contrary to a version of events promulgated by Barbara Tuchman, in Guns of August, and still tenaciously adhered to by some high school teachers and many political scientists committed to using history to bolster their preconceived notions of international crisis management) that the war’s outbreak in 1914 wasn’t a colossal accident but, rather, the immediate result of German and Austro-Hungarian provocation. And although for decades scholars have widely accepted this view (the book is hardly the “dramatic reassessment” its publisher promises), it has failed to penetrate the popular imagination, so it’s a case in need of wider dissemination. But this book is thin and crude—it reads far more like a lawyer’s brief than a historical exegesis. And because his simplistic approach is so unanalytical, Fromkin overstates and underargues his thesis. In 2001 the Oxford historian Hew Strachan published To Arms, the first volume of his projected scholarly three-volume study of the war—a work that promises to be the definitive general history for a generation, and one that will judiciously and exhaustively explore nearly every aspect of the conflict, from finance to ideology to diplomacy to armaments. Sadly, The First World War, by Hew Strachan (Viking), isn’t a one-volume summary of that yet to be completed work but, rather, is based on Strachan’s ten-program documentary on the war for British television. It suffers from its genesis. Strachan writes vigorously, but whereas in To Arms he deftly married acute analysis with a magisterial narrative, here he regularly gets bogged down in his storytelling, which renders the book somewhat bloated and unfocused. 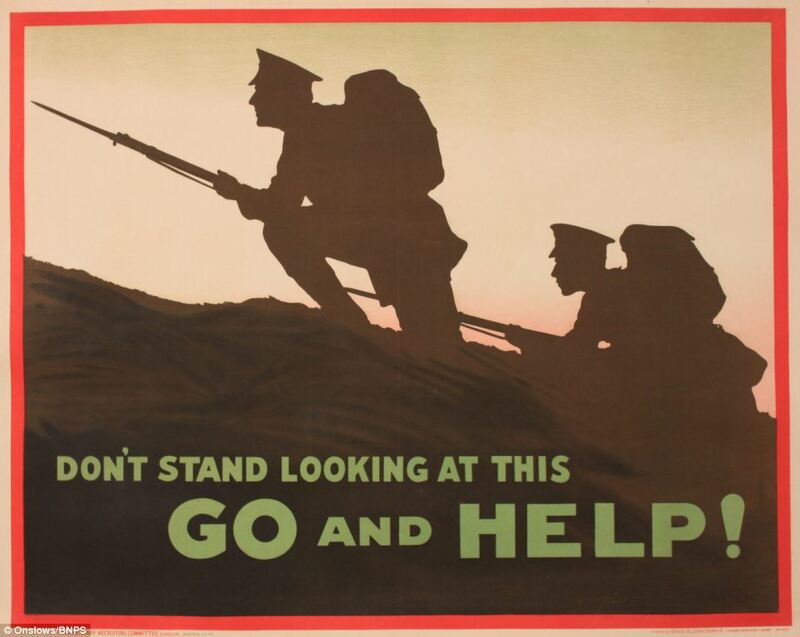 Moreover, in an attempt to highlight the global dimensions of this struggle, Strachan devotes considerable attention to the conflict waged in Africa and western Asia, which in a short work serves to underemphasize the war on the Western Front—indisputably the crucial theater. It’s a shame that Cataclysm: The First World War as Political Tragedy, by David Stevenson (Basic), by far the best title of this lot (in fact, the best single-volume history of the war ever published), will almost certainly win less attention than the other books. Too often popularizers write shallow history books that, thanks to the cachet and publicity that only a fancy trade publisher can bestow, receive unwarrantedly favorable reviews. But just as often first-rate scholars are seduced by their misplaced ambitions to be Big Thinkers and Important Writers. They stray too far from their area of expertise and engage in pretentiously written, self-important speculation. In contrast Stevenson, a historian at the London School of Economics and the author of both a superb monograph on French war aims and the definitive study of the pre-war arms race, has now written with verve and precision an exceedingly smart, analytical history of a hugely important subject. He manages to assess the most complex and controversial issues—such as pre-war military plans and diplomacy; popular attitudes before and during the struggle; the evolution of war aims; the impact of the war on domestic politics; the relationship among tactics, technology, and strategy; and the economic, diplomatic, political, and social consequences of the peace—with both nuance and bracing authority. His book—long, dense, complex, but brisk and animated by a consistently penetrating and commanding intelligence—contains among the most incisive and levelheaded historical expositions I’ve encountered. For example, Stevenson’s characterization of both the perspicacity and the limitations of British policymakers on the eve of the war (“They were probably justified in their gloomy reading of German ambitions, but they underestimated—like everyone else—the cost of frustrating them”) is a commonsensical implicit response to Niall Ferguson’s brilliant but wrongheaded 1999 book The Pity of War. Stevenson, like most historians today, believes that Germany and Austria-Hungary provoked “a Balkan war” and accepted “the risk that it would escalate into a European one” (an interpretation more intricate and more accurate than Fromkin’s). But he sees the war as a tragedy—a word almost always grossly misused, though Stevenson applies it with exactitude: all the powers willingly entered a general conflict because they saw the alternatives as worse. And one of Stevenson’s greatest accomplishments is to make clear why the citizens and leaders of Britain, France, and Germany chose four years of unprecedented slaughter over capitulation or any conceivable negotiated resolution. How the British army grappled with that obscenely costly stalemate on the Western Front is the subject of The Killing Ground, by Tim Travers (Pen & Sword), originally published in 1987, long out of print, and recently reissued in a paperback edition—which is marvelous news, because this is among the most creative works of military history of the past quarter century, and was for years an exasperatingly expensive and hard to find title. Travers explores how Britain’s high command confronted, and failed to confront, a war that refused to resemble its preordained structure, and how the military adapted, and failed to adapt, its ideas, tactics, ethos, and organization to what he calls “the internal logic hidden within weapons such as machine-guns and tanks.” Scholarship examining British military leadership in the Great War has too often been divided between those who condemn the high command as unimaginative and even criminally negligent “donkeys” and those who defend it. Travers goes beyond such facile judgments to show why it was so difficult psychologically and institutionally to overcome considered and intelligent, if erroneous, ideas and to adjust to radically changing circumstances and technologies (I’ve long thought this study of organizational innovation and the factors that frustrate it should find its way into the curricula of schools of management). Travers sheds light on subjects seemingly far removed from the Western Front, including Britain’s pre- and post- war social structure and the cultural impact of war, by elucidating how the military’s accommodation to the full ramifications of new technologies would have demanded wide-reaching and uncontrollable changes in the country’s social hierarchy (a development that began to unfold only in the Second World War, when Orwell discerned it and prophesied its consequences in Lion and the Unicorn).